- WCCW Wrestling Star Wars (June 17, '83) = Iceman Parsons fought to a No-Contest in a "Hair vs Hair" Match against Buddy Roberts. - WCCW Independence Day Star Wars '83 (July 4) = Parsons lost a "Lights Out" Match to Michael Hayes. - WCCW Labor Day Star Wars '83 (September 5) = Parsons beat Buddy Roberts. - WCCW Thanksgiving Star Wars '83 (November 24) = Parsons & the Junkyard Dog fought to a Double Disqualification with the NWA American Tag-Team Champs, the Super Destroyers. - WCCW Christmas Star Wars '83 (December 25) = Parsons & Brian Adias won the NWA American Tag-Team Titles, defeating the Super Destroyers. - WCCW Wrestling Star Wars (January 30, '84) = Parsons & Brian Adias lost to the Super Destroyers. - WCCW 1st von Erich Memorial Parade of Champions (May 6, '84) = Parsons & Buck Zumhoffe took down the Super Destroyers. - WCCW Independence Day Star Wars '84 (July 4) = Parsons won the NWA American Tag-Team Titles, pinning Bill Irwin. Parsons later chose Buck Zumhoffe as his partner. - WCCW Labor Day Star Wars '84 (September 3) = Parsons & Skip Young won, via DQ, over Norvell Austin & Koko B. Ware. - WCCW Thanksgiving Star Wars '84 (November 22) = Parsons & Kerry von Erich took down Kelly Kiniski & Jake Roberts. - WCCW Christmas Star Wars '84 (December 25) = Parsons fell to Rip Oliver. - WCCW Independence Day Star Wars '85 (July 4) = Parsons pinned Tim Brooks. - WCCW Labor Day Star Wars '85 (September 2) = Parsons lost to Mark Lewin. - WCCW 2nd Cotton Bowl Extravaganza (October 6, '85) = Parsons won a "Taped Fist" Match, in the 3rd round, over the One Man Gang. - WCCW Thanksgiving Star Wars '85 (November 28) = Parsons won, via DQ, over the NWA American Heavyweight Champion, Rick Rude. - WCCW Christmas Star Wars '85 (December 25) = Parsons & Brian Adias defeated The Great Kabuki & the Grappler. - WCCW Wrestling Star Wars (January 26, '86) = Parsons & the Missing Link beat Rick Rude & the Grappler. - WCCW 3rd von Erich Memorial Parade of Champions (May 4, '86) = Parsons & the Missing Link took down Shandar Akbar & the One Man Gang. - UWF Tag-Team Titles Tournament (February 7, '87) = Parsons & Chris Adams took down the Freebirds (Michael Hayes & Buddy Roberts) and Ted DiBiase & Steve Williams to reach the finals. However, Parsons & Adams had a falling-out, and Adams won the coin flip, so Parsons was out of the tournament. Adams & Terry Taylor went on to win the tournament. - WWC 14th Anniversary Show (September 20, '87) = The Fabulous Freebirds (Parsons & Buddy Roberts) lost, via DQ, to the Fantastics (Fulton & Rogers). - WCCW Christmas Star Wars '87 (December 25) = The Fabulous Freebirds (Parsons, Terry Gordy, & Buddy Roberts) lost a "Steel Cage" Match to Chris Adams, Steve Simpson, & Kerry von Erich, who won the vacated WCCW Six-Man Tag-Team Titles. - WCCW 5th von Erich Memorial Parade of Champions (May 8, '88) = Parsons competed in a "Triple Dome Texas Round-Up" Match, which was won by Steve Casey, Jason Sterling, and John Tatum. Later on, Parsons lost the WCCW Heavyweight Title, falling to Kerry von Erich. - WCCW 5th Cotton Bowl Extravaganza (October 15, '88) = Parsons, as the WCCW Texas Heavyweight Champion, fought to a Double Countout with Kendall Windham. 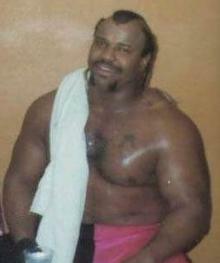 - AWA SuperClash III (December 13, '88) = Iceman King Parsons retained the WCCW Texas Heavyweight Title, beating Brickhouse Brown. - CWA Southwestern Heavyweight Title Tournament (October 2, '89) = Parsons lost in the first round to Ricky Morton. Tony Anthony won the tournament.